"It just kind of hit him that this dog may not be around very long, and needs to spend her golden years in a home." 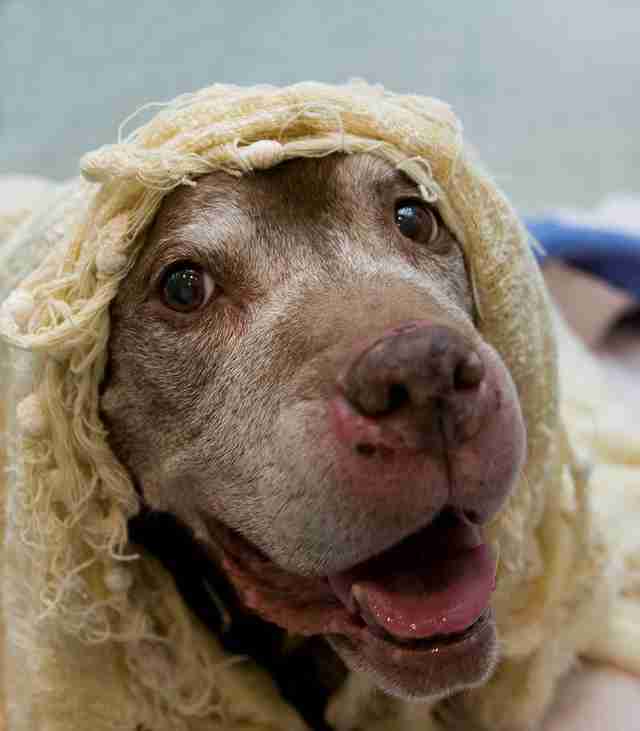 Julep was 18 years old when the unexpected happened - her owner passed away. 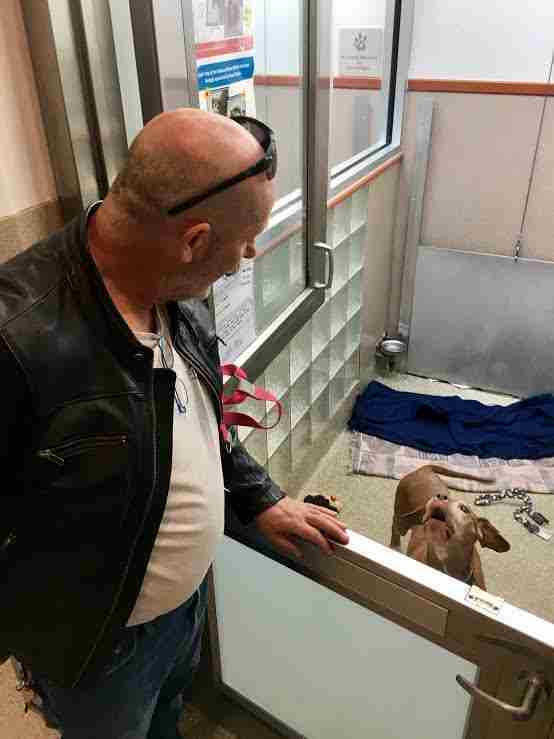 With no friends or family to take in the senior dog, a hard decision was made - Julep had to go to a shelter. 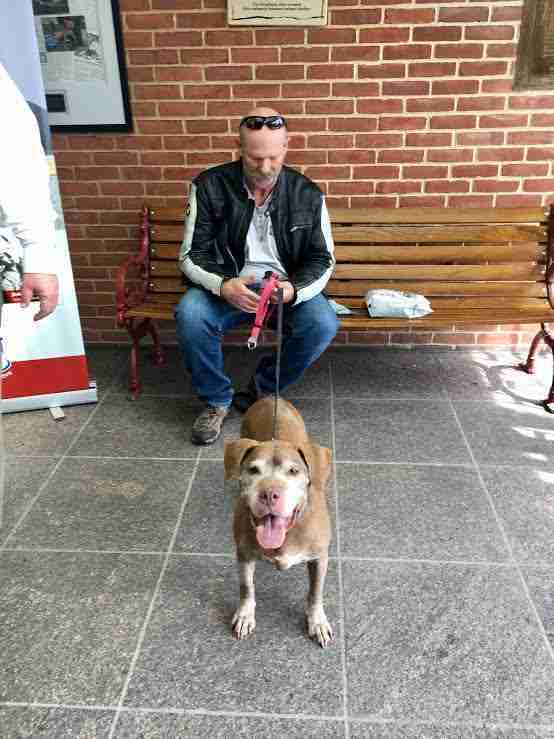 About three weeks ago, Julep arrived at the Humane Rescue Alliance (HRA) in Washington, D.C. The staff gave Julep her own kennel filled with blankets and dog toys. They gave her lots of pats and rubs and attention. Even so, it was a hard adjustment for a senior dog like Julep. "She had clearly been in a home, and she was used to that lifestyle," Matt Williams, senior director of communications at HRA, told The Dodo. "So I think she was a little bit anxious here, probably trying to figure out what was going on." While it's the shelter's goal to get all of its dogs adopted, the staff was particularly anxious about getting Julep into a new home. But it was hard to find the right person to take her. "There aren't as many people looking for senior dogs," Williams said. "So whenever we get a senior dog, it does take them a little while for them to get adopted. But one at 18 - you just don't see that very often." Three weeks passed, and Julep was still living in her kennel. But the shelter's staff didn't give up on her. "She'd been our pet of the week the week prior, and we were doing our best to get the word out about this dog," Williams said. A Facebook post finally reached the right person - a local man named Wayne Lerch, who'd just lost his 11-year-old pit bull named Jasmine. Earlier this week, he visited the shelter to meet Julep. Their connection was instant. "It was pretty quick," Williams said. "There was no doubt. He felt that when he saw the right dog, he would know it. It just kind of hit him that this dog may not be around very long, and needs to spend her golden years in a home, rather than in a shelter." "You could tell that Wayne was used to be being around older dogs," Williams added. "Julep likes to bark, especially when she doesn't have a treat in front of her. But that didn't phase Wayne at all. He just gave her a treat, and they were best friends." Funnily enough, Lerch had actually driven his motorcycle to meet Julep, just in case he decided not to take her. "He hedged his bets a little," Williams said. "I think he wanted to be able to say, 'I can't take Julep right now. I've got my motorcycle. If I'm interested, I'll come back.' But he knew pretty quickly that this was the dog for him, so he went right home, parked his motorcycle, got in his car and came back." 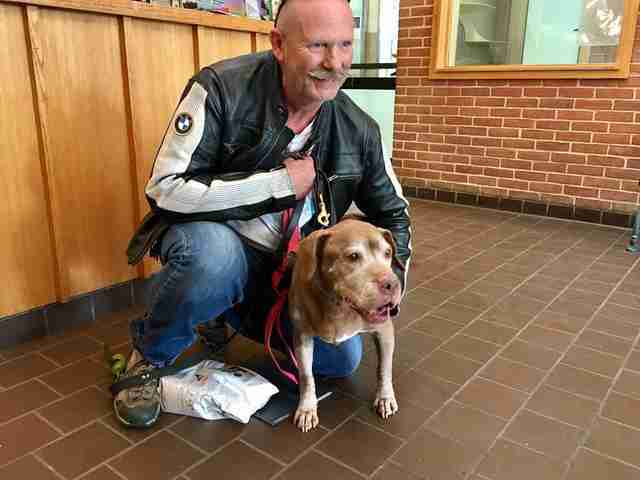 An hour later, Julep went home with her new dad. Now the pair is loving every minute together. "Everything seems to be great," Williams said. "My understanding is that Julep slept in the first day until like 10:30 in the morning, probably because she could. There were no other dogs barking or anything around her, so she took advantage of that." Lerch has renamed Julep "Tootie" after his beloved grandmother. 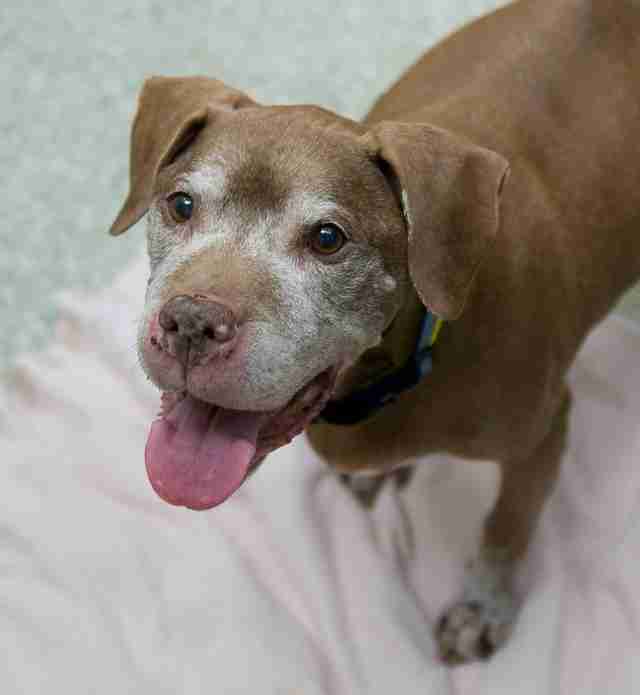 While Tootie now has a happy home, HRA has plenty of other senior dogs who need loving homes. "There are many benefits to adopting older dogs or older cats," Williams said. "They are out of their puppy stage for sure. They're not going to chew on things. They're probably not going to need as much exercise. They're not going to be as rambunctious." But Williams said that it does take a special kind of person to adopt a senior dog. And Lerch, he believes, is one of them. "I think he feels lucky to have her, which says something about him," Williams said. Help the organization save more dogs and cats by making a donation.